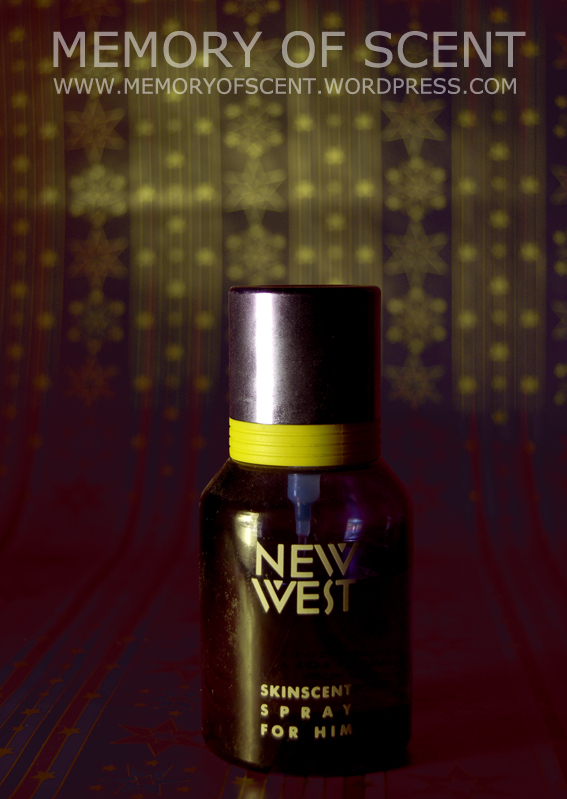 Aramis New West was launched in 1988 and it was one of the perfumes that made wearing american colognes cool. It was labelled “Aramis, Los Angeles, California”, not “Aramis, New York” and it was launched as the ultimate sporty, marine scent of California Coast. For the life of me I do not know why…? Probably because calone was just introduced in perfumery in the 80’s as the molecule that could put the ocean breeze in a bottle. The 80’s and 90’s are full of calone heavy fragrances like Kenzo Homme, L’Eau d’Issey, Cool Water and Dune. But with New West something went wrong. Or did it? I still remember the first time I smelled New West: it was like a breeze of cold mountain wind slapping my face. Cool, abrasive and dense. The note pyramid lists everything but the kitchen sink: aldehydes, artemisia, lavender, sea notes (the star molecule of calone), mint, caraway, bergamot, pine tree, coriander, juniper berries, bay leaf, jasmine, watermelon (this was an aromachemical that got completely lost in the composition) , geranium, leather (what? vinyl maybe but who would put leather notes in an ocean breeze scent? ), sandalwood, amber, patchouli, musk, oakmoss and cedar. In reality what dominates the opening is a bitter green accord of fir, juniper, pine and everything resinous. Everything seems swimming in a sea of green-ness. The classic geranium and bergamot notes are hanging form the branches of conifers and calone is there too but to my nose it never manages to smell like sea breeze. The ocean is never so green. Instead the air caressing my skin is the cold mountain air that ruffles fir branches and sweeps the snow. As development progresses the foliage becomes thicker and the scent more traditionally masculine. After New West. perfumers seem to have mastered the use of calone. 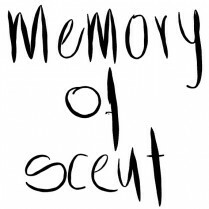 With experience came standardization and all the clean fresh scents flooded the market. which is not a bad thing. But I still haven’t found a crisper, more joyful fir tree scent. New West became extinct with some modest cult followers. In 2009 Aramis made an unusual but extremely intelligent decision to relaunch New West together with the other discontinued or semi-extinct gems like Havana, Devin, Tuscany and Aramis 900 in a new uniform bottle under the title “The Gentleman’s Collection”. It was a wise decision because prices for a Havana bottle on e-bay were sky rocketing. And every single one of those fragrances is still as unique as it used to be when we first smelled it. The new bottle is rather insignificant while the original was copied by Acqua di Parma for the Blu Mediterraneo line. Interestingly enough I remember having a sample of Blu Mediterraneo Cipresso di Toscana or Quercia Marina and I vaguely recall similarities. Notes from Fragrantica: aldehydes, artemisia, lavender, sea notes, mint, caraway, bergamot, pine tree, coriander, juniper berries, bay leaf, jasmine, watermelon, geranium, leather, sandalwood, amber, patchouli, musk, oakmoss and cedar. Marine, fresh, citrus, aquatics all more or less bring the same sound to my ears and believe me it’s not a melody… However, I’ve learned to respect those who deserve it, and New West does. I too posess a bottle like this (in fact it belonged to my brother but I managed to steal it -along with other bottles- when he got married and moved away hehehe). My all time favourite from the Aramis classic series is Tuscany which I enjoy as an everyday scent with great longevity and projection. I only wish Aramis will relaunch Tuscany Forte which I have only as a sample and is marvellous. Bravo Christos for looking a bit deeper in your wardrobe, there whare the vintage gems live to be rediscovered and thrilled. These gems are a joy for treasure hunting in old and forgotten perfume shops. I think you should visit Perfumes of the Past, a perfectly weird shop in Amsterdam, the oldies but goodies heaven. Unfortunately word is out and prices are up. Big Aramis fan right here (especially 900 and JHL) but New West has taken some accommodating time. I usually hate marine notes (Bulgari Aqua…ugh) but I have New West on a test strip right in front of me, sprayed around 2 hours ago and it’s very good. I think I even prefer it to Tuscany on the other strip (which I’ve heard suffers in the longevity dept). This definitely feels like a gentleman’s aquatic if such a thing exists. I never managed to see the pure aquatic quality of this one. The conifers seem to lead the dance. I think it is the grandfather of aquatics Suzanne. When they used calone to give an aquatic vibe to a green composition. The genre developed a lot since then. For better or for worse, that’s for each to tell. I wonder if any B&M store carries New West – I want to try it. Isn’t B&M like a really cheap place? I am afraid now you will only find it where they carry the Aramis Gentleman’s Collection. And I believe that from all six it is the one closest to the original formula. But if you come across the collection please do also try Devin and 900. Really worth it! Very big New West fan. I’ve been wearing it for years. Spent a lot of time finding deals on the web just to get a blue bottle in my hands. I noticed there is a new 3.4 oz bottle design on Amazon which is about $10.00 cheaper than any place I can find the blue bottle. Is there a difference in the two? I have not tried the new, boring bottle. I think New West is the one that has stayed closer to the original after the re-release. But you would have to try for yourself. For instance I believe Havana is very different but there are loyals to it that swear it smells the same.